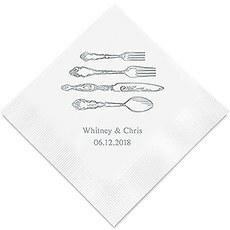 Every theme you can think of and then some…we’ve got your cocktail, luncheon or dinner napkin needs covered. 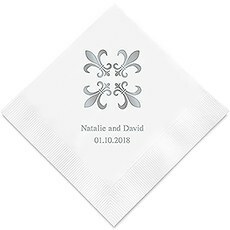 Are you looking for ideas and inspiration for festive personalized napkins to include at your next shindig? You have definitely come to the right place! 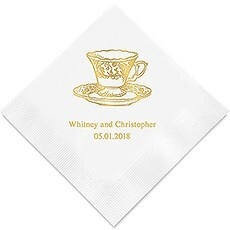 We must admit, selecting the right personalized napkin theme from our extensive (and growing) selection can be challenging. 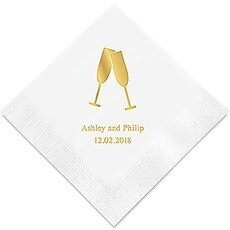 With so many fun options, it can be hard to choose. 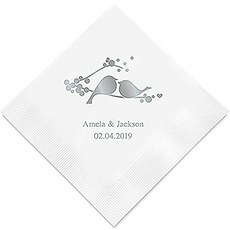 That is why we have created this handy section of Personalized Napkin Themes so you can browse the themes that other shoppers are buying to include in their special occasions. 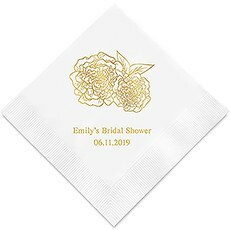 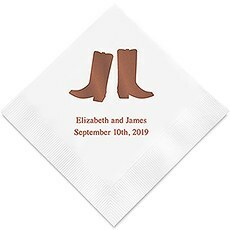 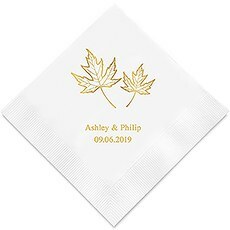 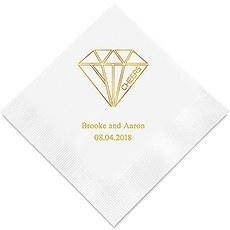 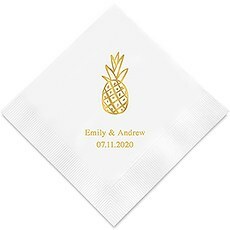 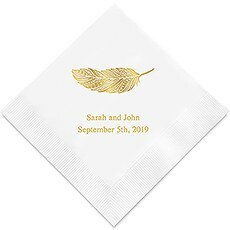 Whether you are celebrating a milestone birthday, anniversary, wedding, bridal shower or any type of event, let our quality napkins be a part of your day.Weddings are always a popular event where personalized napkins make an appearance. 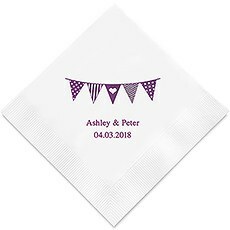 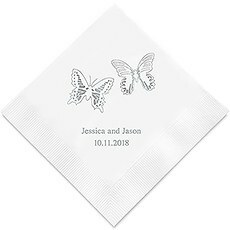 Our selection of popular themed wedding napkins is filled with a range of styles and designs that capture the tastes and personalities of our eclectic couples. 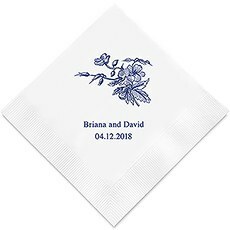 For the bride and groom with a great sense of humor, a fun napkin such as "Two Less Fish in the Sea" captures your cheeky side. 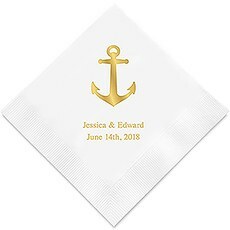 For a black-tie wedding complete with fine china and chandeliers, a napkin with a lovely floral print or the classic fleur-de-lis is perfection.Our wedding napkins can be used throughout all the festivities leading up to the special day, including engagement parties, bridal showers, rehearsal dinners and more.Are you celebrating a birthday, retirement party or graduation? 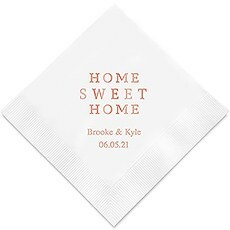 Our popular personalized napkins are so versatile that they can be easily incorporated into these events. 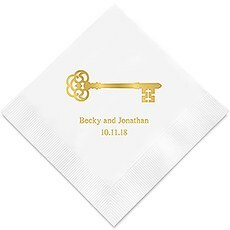 A napkin with a vintage key is representative of the key to the future, making it ideal for a graduation party. 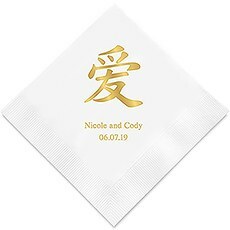 Celebrating a new retiree? 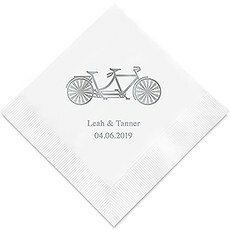 A napkin adorned with a bicycle can represent carefree days ahead.Our popular personalized napkins come in your choice of cocktail, luncheon or dinner napkins in a range of colors. 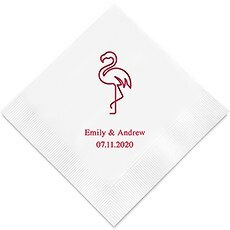 You can also select your preferred imprint color so they will complement your theme.